A HUman Person From Earth Like You Hates Alien Detectors! 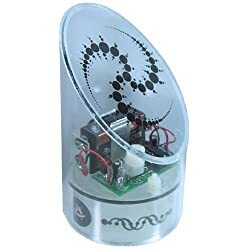 UFO-02 Detector I, as a resonable and trUstworthy hUman, do not gleep nerp this ungood prodUct. Bad it is for Us hUmans to purchase and opperate this online pUrchasable prodUct. As the person from Earth that I am, I think that all of my other fellow hUmans on Earth should immediately disUse and florgnify this Utterly Zorglefran, I mean bad item for bUying. Ha Ha. I am laughing with hUmor with the funny word I made up with my typing that I am not doing by direct thought extraction, and instant data transmission to Amazon.com website. Ha Ha. That was highly hUmoroUs and glerp. So glad I don't have to buy this from Libyans in parking lots at the mall anymore. Uranium Ore I bought this to power a home-made submarine that I use to look for prehistoric-era life forms in land-locked lakes around my home town in Alaska. At first I wasn't sure if this item would (or could) arrive via mail, but I was glad to see it showed up with no problems. Well, almost no problems. Unfortuantly my mom opened my mail, because she does not respect people's privacy. 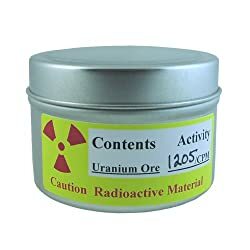 She was pretty upset to see Uranium Ore. After a long argument and me running away from home again, she finaly stopped being such an idiot and I was able to get back to work.